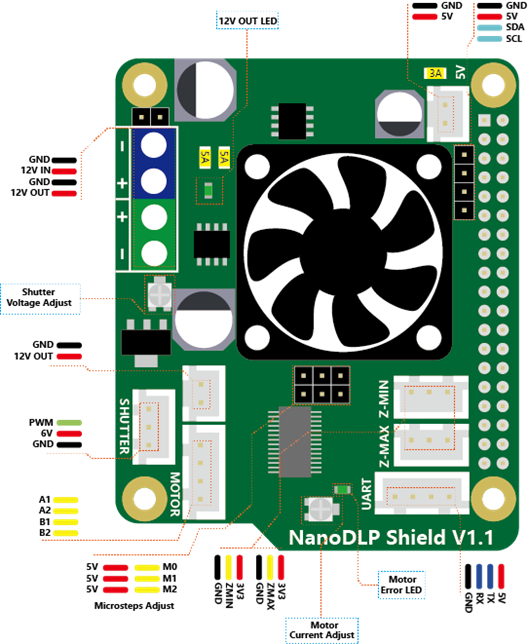 This expansion board is designed for the Raspberry Pi 3B which is used for SLA/DLP 3D printers running NanoDLP . 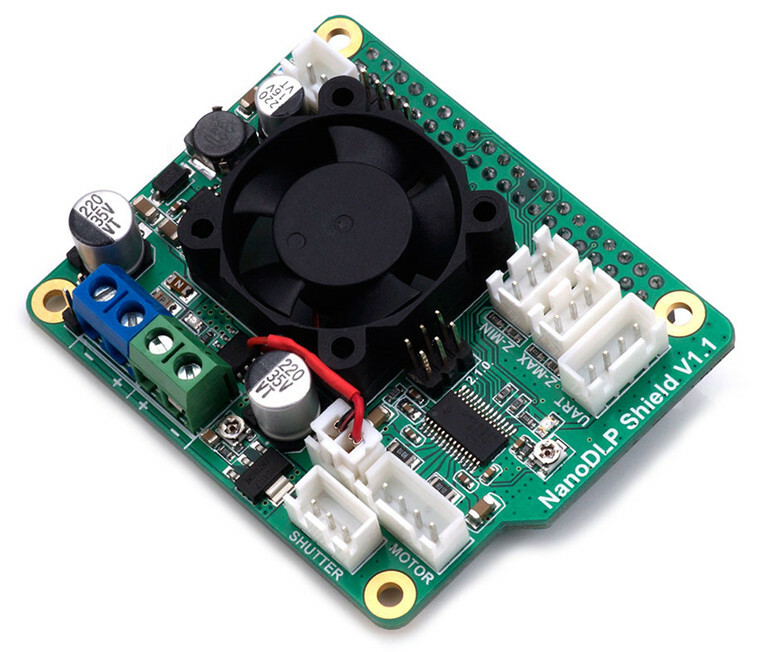 The board contains a 9-28V to 5V circuit that provides a maximum of 3A and other interfaces required by NanoDLP. See the instructions below. Shorted = 1, Open = 0 . 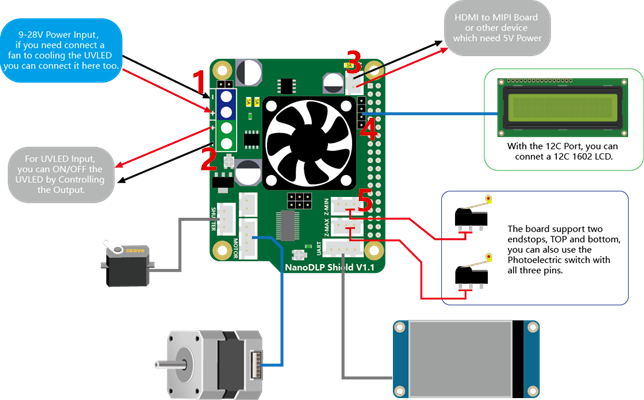 9-28V Power Input, if you need connect a fan to cooling the UVLED you can connect it here too. For UVLED Input, you can ON/OFF the UVLED by Controlling the Output. 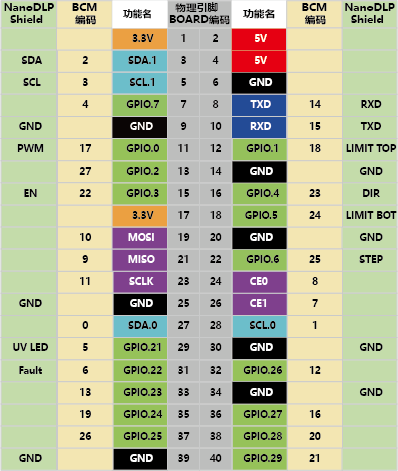 HDMI to MIPI Board or other device which need 5V power. With the I2C Port, you can connet a I2C 1602LCD. 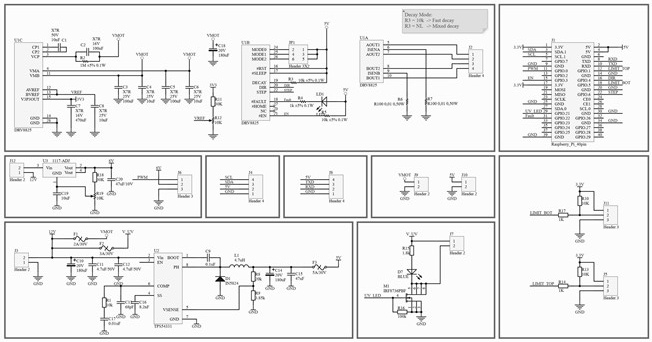 The board support two endstops, TOP and bottom, you can also use the Photoelectric switch with all three pins.